Last fall I traveled about Germany with family seeing friends, reconnecting with my heritage and exploring a new part of the continent. Unbelievably my travels took place during Oktoberfest. This was completely unplanned but once I discovered the happy accident I knew that I had to take advantage and see the greatest beer festival in the world. 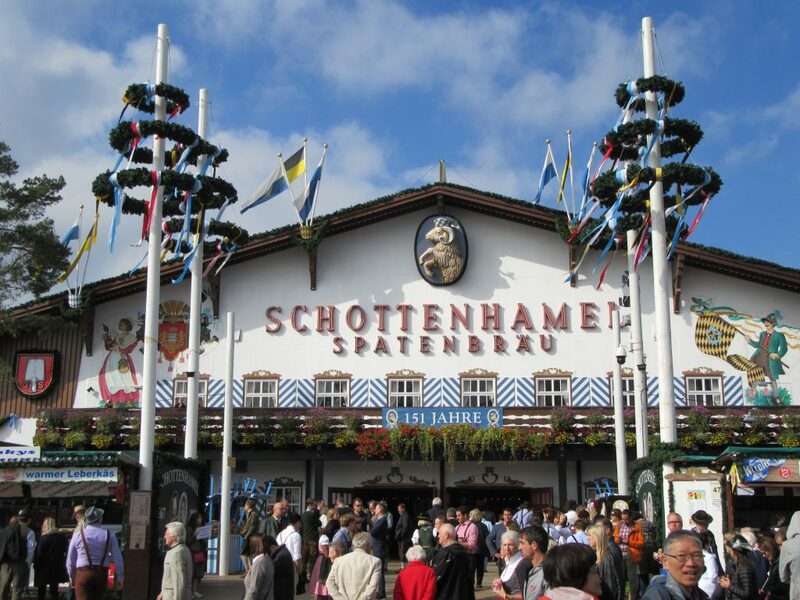 There are countless great guides to Oktoberfest all over the internet. 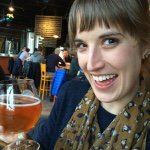 If you are already planning for your 2019 trip to Munich, I recommend reading those. If you are reading between September 21st and October 6th 2019 and have forgotten to do much prep other than get there, then please keep reading. Grab your brightest waterproof shoes and many zippered pants to prepare for a day of walking. Not only will these clothes keep you comfortable walking around the massive fairground but there is no better garb to blend in with your fellow Bavarians. Make the Fest your own personal Zugspitze! This guy can pull off the Lederhosen look at the “Terminator rides a Segway” ride but you can’t. Don’t buy a dirndl or lederhosen. There are two types of people wearing traditional Bavarian gear to Oktoberfest: the gorgeous groups of roaming young locals and the crowds of public vomiting Brits on a stag-do. I am sorry to break this to you, but you cannot pull off being mistaken for the first group. 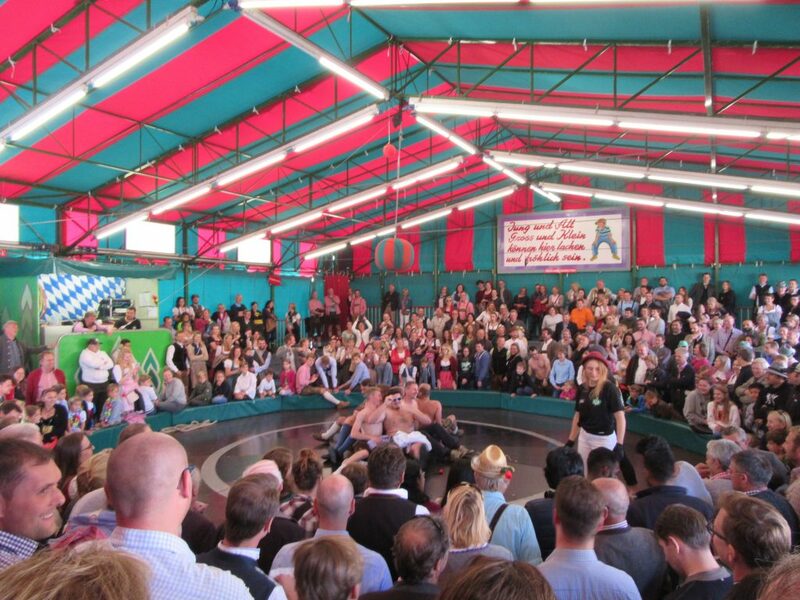 Unlike the rest of Germany, Oktoberfest isn’t the place to go cashless. Rushed multi-lingual waitstaff will take your screamed order of three biers and a radler, returning with kilos of liquid carbohydrates. Plan on tipping a few euros a bier and pay as close as possible to exact change. Seven and a half million liters of beer were sold at last year’s Oktoberfest, so quick turnaround is essential! During weekdays or less crowded times of day, the waiters will take longer to chat with your table but cards are still not accepted. Last year one liter of beer cost between 10 and 12 euros so plan accordingly before going to the ATM. 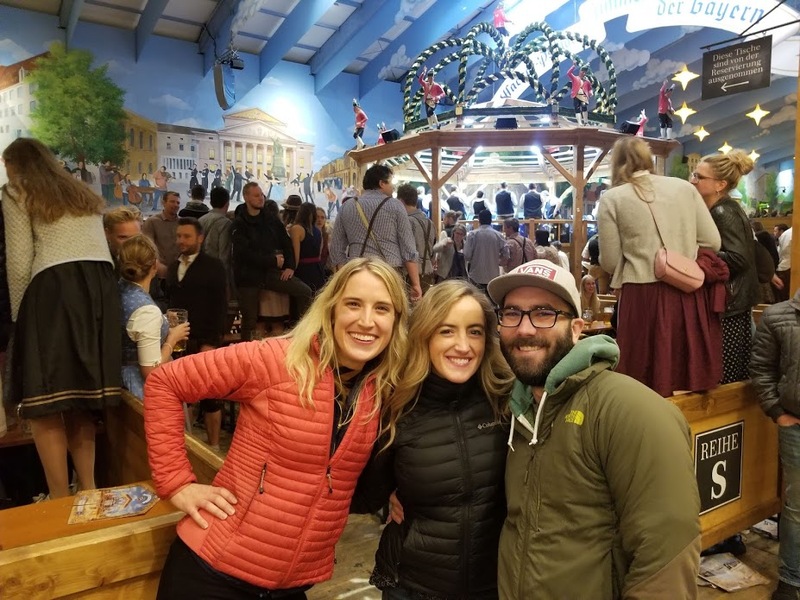 It’s easy to forget while planning a trip to Oktoberfest that the world’s most famous place to have a beer is a carnival first and a beer festival second. Yes you and almost everyone else are there to drink but what is the point of drinking without entertainment? Enter the carnival games. Flanking the side of two temporary streets running the length of Theresienwiese are countless carnival rides and booths. From strangely sexual fair games to three story rollercoasters, all the nightmares from your youth live on in Munich. The entire Fest as a people-watching delight however if you want the best bang for your euro check out these two rides. 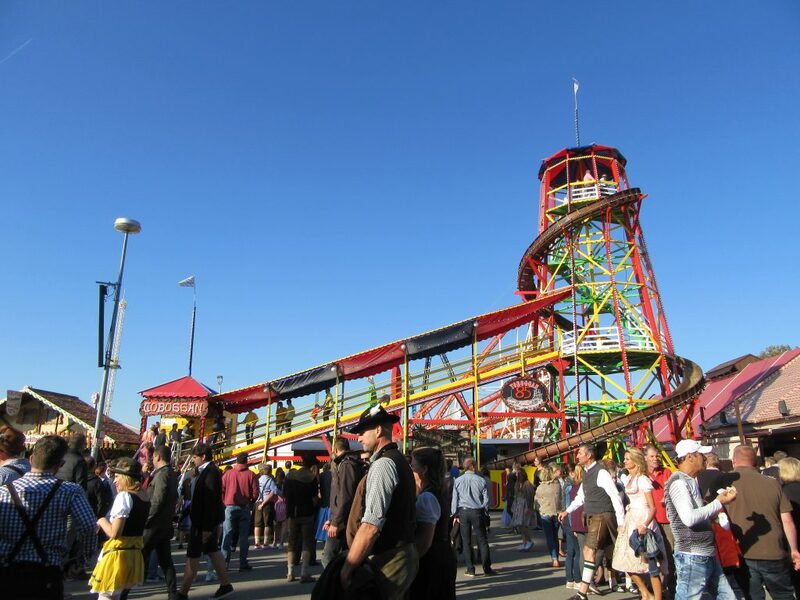 The Toboggan – This massive wooden slide has been gracing the Fest with its ridiculousness for over 85 years. The twisty slide is secondary entertainment to the moving carpet. Watch men who have had one liter too many ascend the conveyor at a speed so fast that they often fall over and tumble upward head over heels. The handsome ride operators will help you up if you feel less inclined to show off. The Devil’s Wheel – Just outside of the Toboggan is a long line of people paying three euros to step inside a green and red striped tent. Foreigners like myself had no idea what was happening inside other than to guess based on the screams and laugher emanating from inside. It didn’t take long for curiosity to get the best of me and I ducked inside accompanied by my equally curious family. I don’t know what I was expecting but a 100 year old ride featuring shirtless men spinning around on a flat disk while getting a punching bag dropped on them was not it. Personally, I was thinking it might be pig racing – so American of me. The Devil’s Wheel is an Oktoberfest institution dating back to 1908. It is ruled over by a beer drinking, cigar smoking MC who calls out groups of people who can volunteer for a spin. While we were watching we saw groups of children under 12, all women, and shirtless single men with one single woman in a dirndl. The wheel starts slowly spinning until everyone is thrown off by the centrifugal force. If people are too strong/stubborn to slide off after a few minutes the MC drops a beanbag onto their head and starts trying to knock people off. This attraction is a can’t miss. It seems so authentically German and despite not understanding any of the MCs quips, the laugher is contagious. The entire crew in front of a fine roast pork establishment. Go during the day and visit all the tents. With fourteen massive tents (and smaller tents scattered in-between), Octoberfest is an annual architectural marvel. With the oldest tent dating back to 1867, each tent is decorated with a different yet distinctly Bavarian style. It is often difficult to get a seat in any tent after early afternoon but don’t let that stop you from walking around all of the tents to experience the different vibe. Do you want to take a turn at the shooting gallery? Try Schottenhamel Fetzelt. Want to party with a mixed international crowd? Try Hofbrau Festzelt. Want to polish off a roast oxen? Try Ochsenbraterei. Want roast fish on a stick? Try the Fischer-Vroni Fetzelt. If your liver is human like mine, you clearly can’t have a liter at each tent so instead duck in and do a quick walk around making a mental note of where you want to spend your euros when the evening comes. Things were rowdier than they appear. Find a table at night and never leave. Once upon a time, there was a bold, sober suggestion that my sister, cousin and I should “swing by” Oktoberfest around nine in the evening. This idea was extra bold considering that Oktoberfest closes at 10:30, leaving us to deal with the equivalent of the last call crowd. Dodging piles of puke, and stumbling revelers heading home for the night we made or way toward the tents. I might have been too overwhelmed to try and would have turned around right there if it wasn’t for our secret weapon: my cousin’s friend and local Munich resident. Rolling up at over six feet tall, blonde and rocking the lederhosen, our guide reminded me (again) that I couldn’t have pulled off that look. We followed him like a parade of puke-puddle jumping ducklings into the blue and white Hacker-Pschorr tent. It was awesome. People bouncing on benches that bent like trampolines. A nice group of guys from Japan that let us slide into their table at the end of the night. 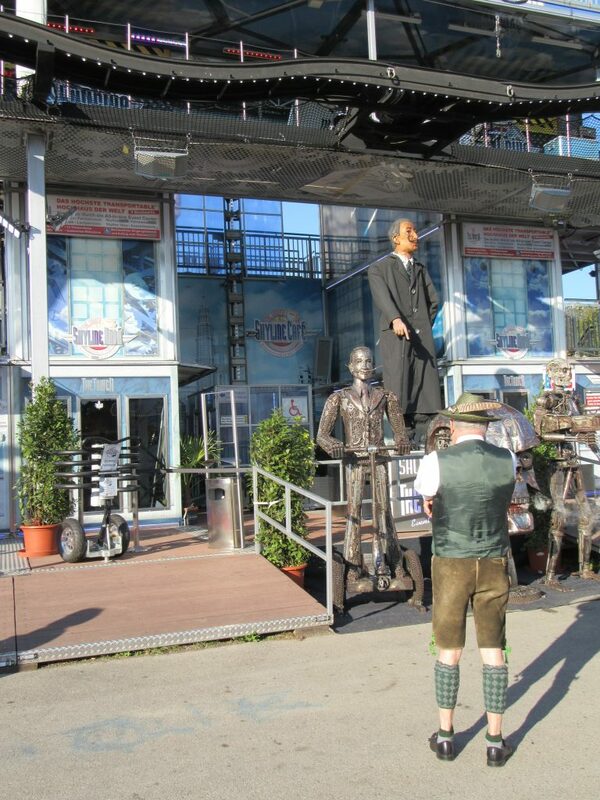 And my favorite – one old grumpy German guy who kept telling my sister and I to “stop talking and enjoy the experience”. He was upset that we weren’t fully taking in the rock band covering “Simply the Best” and every single song from Grease. The liter beers helped me catch up to the crowd quickly. Before you know it we were on the tables, fighting off drunk dudes and singing along to The Final Count Down. 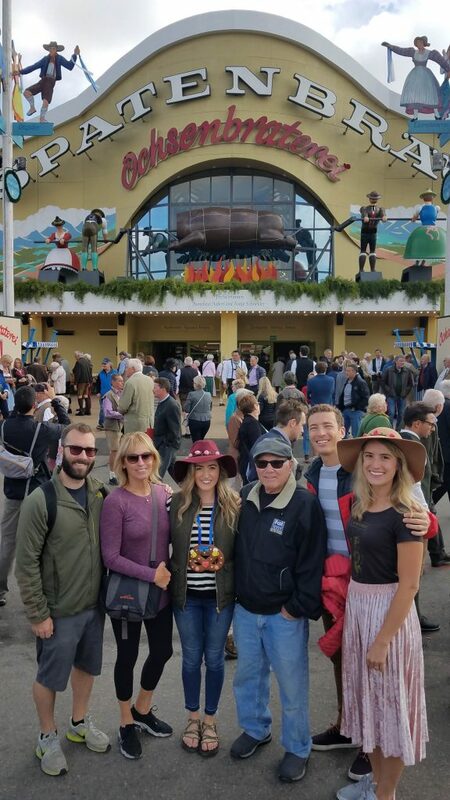 Oktoberfest is one of those “bucket list” travel experiences, which means it runs a high risk of not living up to expectations. The good news is that there is no wrong way to Fest. Take it slow or party with the locals. 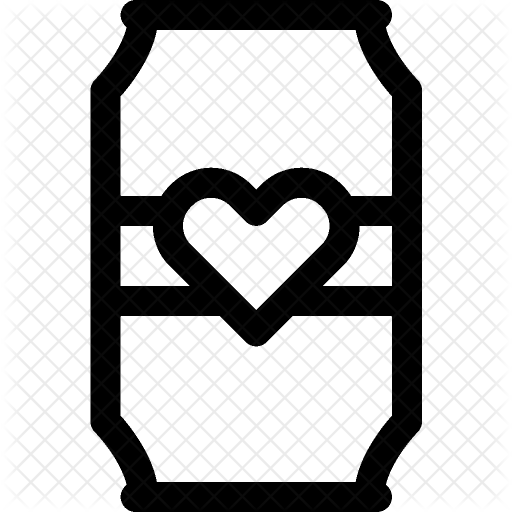 Either way take in the people watching, drink a gigantic mediocre beer and experience something new. Prost! How fun was that trip?! Thanks for posting this…I had completely forgotten about the shirtless men spinning round & round. The long-haired guy was really into it.